Fast enough to be fun, while still being safe. 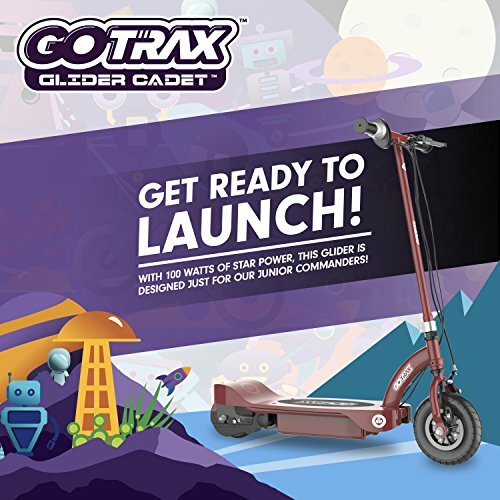 The Glider Cadet is a new electric scooter from Gotrax specially made for the youngest riders in the family. After the successful launch of their first Glider model, which for the record is a favorite of mine when it comes to lightweight scooters. They have now created the Glider Cadet which is a very good choice among many for riders 6-12 years. My oldest(6yrs) rides the Glider but I have yet to let my youngest boy(4 yrs) ride it on his own due to its high speed, even in gear 1(out of 2). I probably don’t have to tell you, but our youngest had very high hopes on this one and so did I. Well, did it fall through or deliver a solid ride for such young kids too? Let’s have a look. 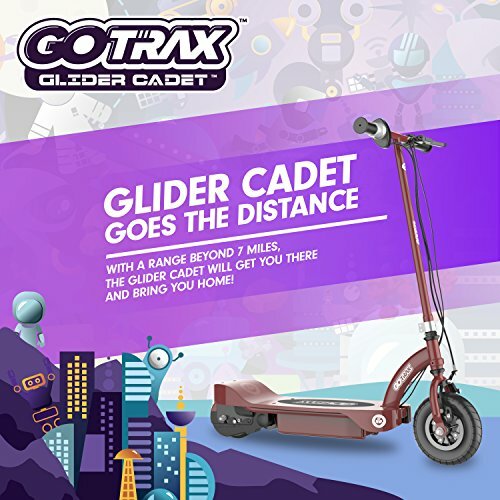 The Glider Cadet is Gotrax step-in model. A chance to let those young riders dip their toes in the electric scooter pool without you as a parent having to get a heart attack just by looking at them zoom by. 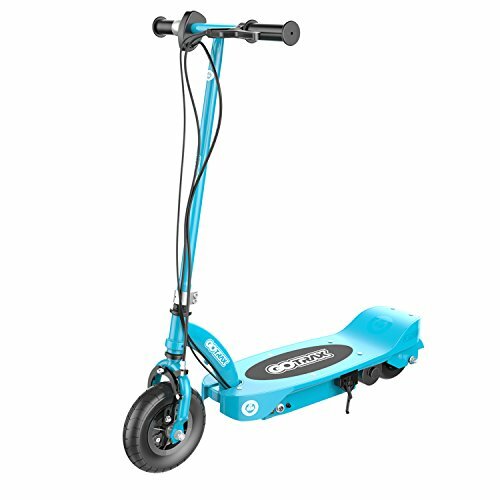 The scooter boasts a 100W chain-driven motor that is powered by a 24V/4.5Ah lead-acid battery. This lets your child reach a top speed of up to 11 mph. They can ride for up to 7 miles on a single charge and it utilizes a twist-grip throttle for adjusting the speed. It can support kids up to 120 lbs and it is equipped with a simple yet effective front hand brake just like on an ordinary bicycle. A great choice of brakes since most kids are already used to these from riding their bikes. 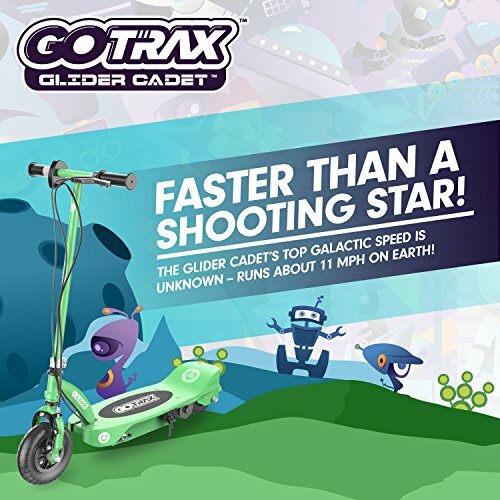 Unfortunately, the 11 mph was just as fast as the normal Glider in gear 1, so my youngest will have to stick to his scooter that can be locked to 4 mph. Great option for 6-12 yrs! 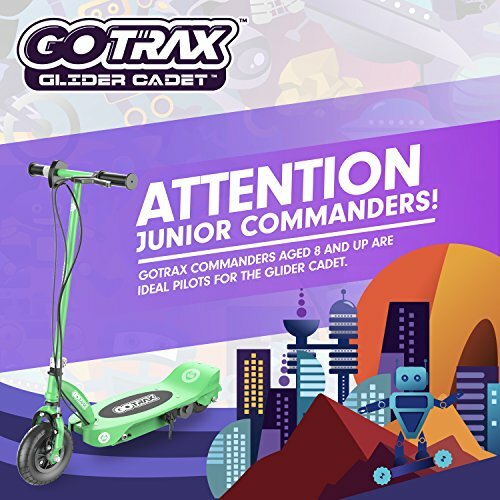 The Glider Cadet from Gotrax is a viable option for kids up to 12 years. It provides a fast enough speed(11 mph) to make it fun, while still being within the safe zone for you as a parent. A comfortable and easy set-up and the scooter runs smoothly without any jerky take-offs thanks to the kick-to-start function. My oldest who is already used to ride faster scooters thought the Cadet was a great option. Although he is used to a 250W scooter that boasts double the motor power I couldn’t tell any difference due to his low weight. He had no issues whatsoever getting up inclines and the acceleration was in my opinion much better since it was a lot smoother than what he usually rides. It does get a bit bumpy if you decide to take on uneven terrain or try to go a bit off-road but the large front tire is handling the bumps well for a kids scooter. I would go out on a stretch here and compare this to the Razor E100 since it has a similar design with inflatable front tire and a solid rubber rear tire. It also has the same push to start function which means you have to push it up to around 2-3 mph before you can engage the motor. One of many great features you should be looking for when it comes to kids rides to eliminate accidental take-offs. Available in a few different colors that cater to both girls and boys. Even though the Razor Pocket Mod is by far the most popular model for girls I think the Cadet might be a good choice for the younger girls. All tools needed to assemble the scooter followed in the package and it didn’t take more than a few minutes to get it up and running. 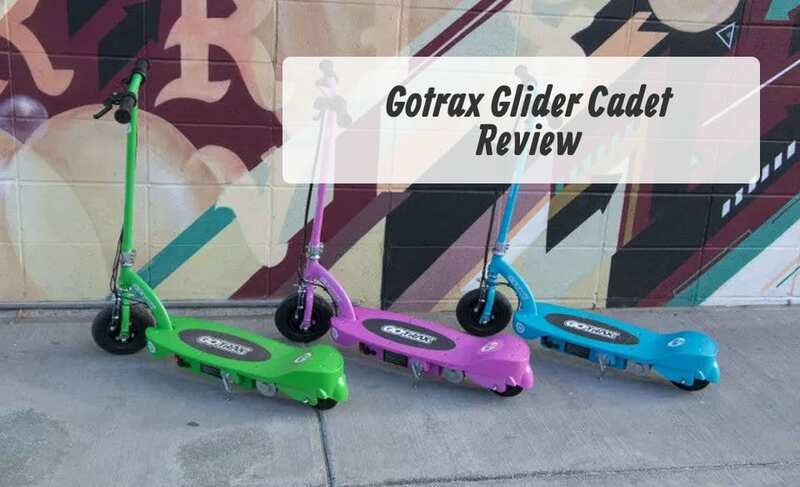 A great choice for kids around 6-7 and up to around 12, after that you will probably want to get something like the normal Glider to tackle the increased weight of the user and to get access to a higher top speed. A good large-sized pneumatic front tire to tackle the bumpy terrain. A smooth and non-jerky acceleration. High-quality parts and durable build. *Test data was produced by a 6-year-old rider with a weight of 50 lbs. 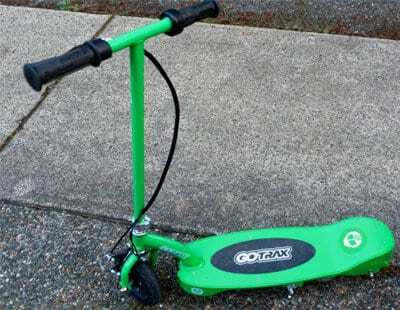 The Cadet electric scooter is Gotrax’s answer to the E100 from Razor. There are not much that sets them apart except for color and some minor things like the size of the foot pad but that’s only by half an inch. 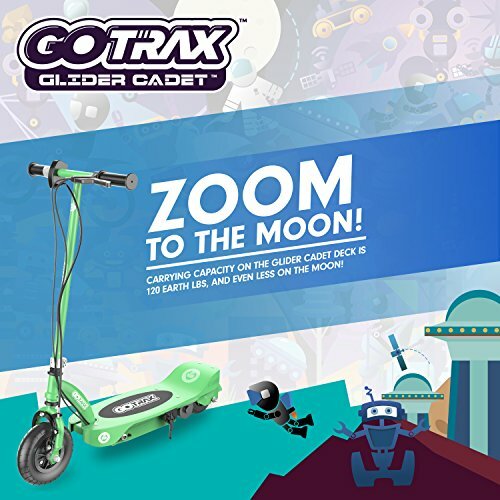 It’ll probably come down to color, price and to the fact that the Gotrax model is brand new and utilizes a different motor which does feel a bit more responsive. If you have older kids 12+ I would recommend you to check out their Glider. If not then the Cadet is a very good option for the young riders out there both in terms of riding experience and price tag.